These days, one of the biggest things we depend on are our computers. Whether we use them for business or personal purposes, it’s always a major inconvenience when they suddenly stop functioning. This tends to be one of the main issues that cause our customers to bring their computers to Restore Computer Repair. A lot of our customers might not know about a possible simple fix that they can do themselves at home. 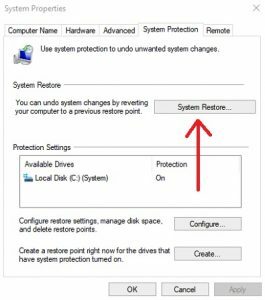 Today, I’m going to walk you through what system restore is and why and how to perform it in Windows. Maybe your computer seems inactive during the installation of the update and you hard shut the computer down. In some situations, a Windows update may not complete properly and it can cause vital functions to stop performing properly. Furthermore, Windows updates will update your computers hardware drivers and software. If the laptop or desktop gets shut down while Windows is updating your drivers, the system will become unstable. Sometimes having a corrupted driver will cause blue screen errors and may prevent you from booting into Windows. 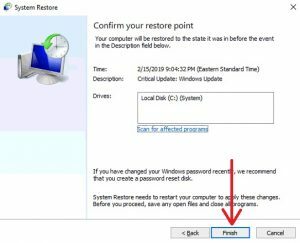 This is why it is beneficial to know how to perform a system restore on your computer. System restore is a feature in Microsoft Windows that essentially allows you to go back in time to when your computer was working properly. It runs in the background every day and takes a snapshot, once a day, of your system settings and registry. System restore is enabled by default in Windows; however, some users may have the feature disabled. In fact, most viruses will infect the computers system restore points. 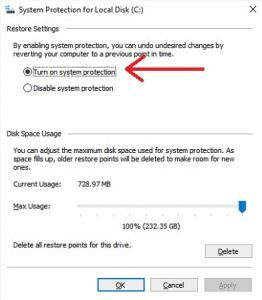 Additionally, some users purposefully disable system restore to free up disk space. 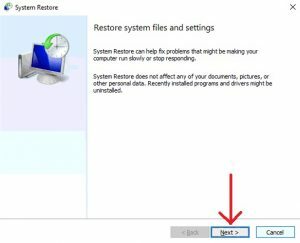 Performing a system restore should not cause any loss of personal files, it simply restores your computer back to how it was prior to the issue by restoring the Windows registry. Locate the Search box in the bottom left corner of your desktop screen. In the search box, type Create a restore point, and click the control panel result. The “System Properties” window will pop up. Under “Protection Settings,” select the main system drive (C:), and click the Configure button. Ensure “Turn on system protection” is enabled/checked. Once the “System Restore” windows pops up, click “Next“. The next window will have the most recent system restore point that was performed. Click that restore point until it’s highlighted and click “Next“. The final window in the system restore process will ask you to confirm the action by clicking “Finish”. 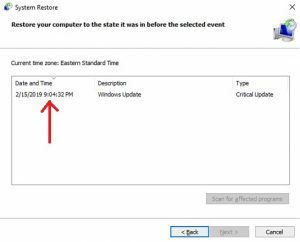 Once you’ve completed these steps, the system restore process will initialize and could take anywhere from several minutes to several hours depending on your system. It’s important not to interrupt this process. Upon completion, your system will reboot back to your log in screen or desktop and give you a message that system restore completed successfully. 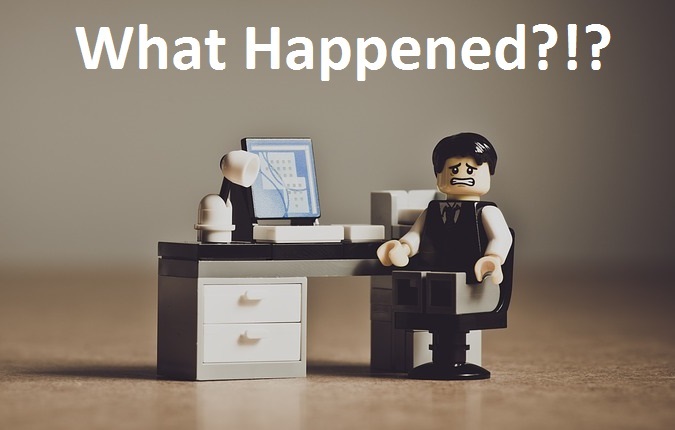 If your laptop or desktop computer is still having problems or system restore failed, call us today at 443-725-5050 and we can repair your computer for you. This past week I’ve had more requests than ever to remove Kaspersky antivirus and cyber security from customer’s desktop and laptop computers and replace it with another security suite. According to the Wall Street Journal, NBC, NY Times and many other major news outlets, Russia has been accused of using Moscow-based antivirus giant Kaspersky to spy on and acquire data from computers where the antivirus program is installed. How did all this get discovered? This is where it gets really complicated: Basically, hackers were hacking into other hacker’s computers while they were in the middle of hacking. Supposedly, Israeli intelligence personnel hacked into Kaspersky’s own network and discovered Russian government hackers had used the software to remote into American computers. One of those computers happened to be owned by an NSA employee who had improperly stored classified documents on his home computer, on which Kaspersky was installed. Last month, the Department of Homeland Security ordered all employees and federal agencies who had Kaspersky installed to remove it immediately. Hence, the droves of people coming into the shop to have it removed and replaced lately. I’m not complaining at all about the business it’s brought in, however this prompted me to research the rumors I had been hearing and find out how this could have happened. You see, every antivirus program has to have complete and total access to your entire computer and all the data stored in it, in order to protect you from malicious activity. There’s no way around that, additionally most antivirus programs have a setting that also sends back a report to the antivirus company of everything malicious it’s found. Many security suites also transmit a list of visited URLs (web addresses) both non-malicious and malicious ones. They may also transmit your name, your local IP address, any running processes, and even your Windows user name. Who’s to say what else they could access or transmit without your knowledge. The fact that the Russian government may have used a world renowned piece of security software like Kaspersky to backdoor into computers means nothing is a safe bet. It may be a good idea in the future to disable these reports from being sent whether you’re using Kaspersky or any other antivirus suite, and it’s not just limited to antivirus programs. The Windows operating system itself also has similar reports that get automatically transmitted back to Microsoft. These can also be disabled if you’re uncomfortable with this information being sent out. Kaspersky, of course, has denied these recent allegations. However, this should be an eye opener to all my fellow computer users out there to safeguard your data as best as possible. If you have Kaspersky installed, it may be a good idea to remove it for the time being and use a different antivirus until all the facts have come out. Our opinion changes from time to time based on our experience and reports we subscribe to, but currently we recommend ESET’s Nod 32 antivirus program, which you can find here. 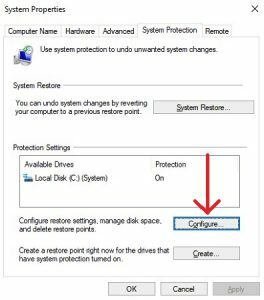 Also, if you’re not comfortable changing computer settings, uninstalling or installing software, that’s what Restore Computer Repair is for! Please come see us any time and we can help you with any computer needs or concerns you may have. We will also keep you updated as we hear more about this scandal in the coming weeks. Is “Microsoft” or “Google” calling you? Has someone called you recently claiming to be from “Microsoft” or “Google”? They may say your license has expired or your computer is sending out hundreds of errors or some other bogus alert. If so, you’ve been scammed! Like other tech support scams, this one tries to convince you that something is really wrong with your pc and urgently pressures you to visit their support website, call their “tech support team” or ask that you allow them to remote in to your computer. Hopefully, this hasn’t happened to you yet, however if you happen to get this call in the future, hang up immediately. If you’ve already been victimized by these scam artists, your bank account, passwords, emails, identity, etc. are at high risk of being stolen. In many cases you may not see any symptoms at all, other common symptoms include a recent unfamiliar “security” or “antivirus” software program or pop up. 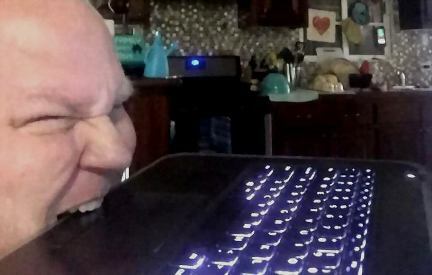 If this has happened to you recently, bring your computer into the repair shop today and we can ensure your computer is safe and secure and recommend legitimate antivirus software to help prevent problems like this in the future. Author sampalmPosted on October 5, 2017 February 5, 2018 Categories adware, antivirus, cyber security, malware, software, virus removalTags computer repair, it services, mac repair, pc repair, tech help2 Comments on Is “Microsoft” or “Google” calling you?